The hectares of vineyards in the country of New Zealand is going down slightly but the country still remains a big wine industry. Wherever you go shopping for wine, you are going to find many that are from the region – just read the labels and you will see for yourself. New Zealand wine is exported to around 90 countries over the world and this number is even on the rise. New Zealand has around 2000 vineyards so there is definitely no sign of their wine reputation going anywhere. 29,000 hectares of their vineyards are for white wine and around 8000 hectares are for red wine. No matter what type of wine you prefer, you can find a high quality one that is from this country. Marlborough is the countries most well known and largest wine region. Even more interesting is that the Marlborough vineyard is set to increase in size enormously over the next 2 years. 6800 hectares are going to be added onto the area, which currently stands at an impressive 24.000. Probably this will make a serious dent in their bank account but the profits will be worth it! The second largest wine region in New Zealand is Hawkes Bay, where the vineyard area is as big as about 4744 hectares. It might be surprising but the country giving New Zealand the most competition right now in terms of wine production is actually the United States. It became New Zealand’s biggest export back in 2015, overtaking other countries. 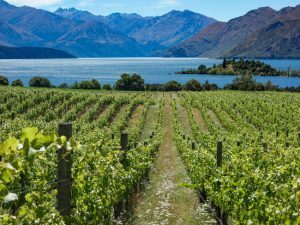 As a country, New Zealand made sales of $579 million in exported wine this year. They remain high on the list of best wines in the world because they are always doing their best to improve, creating the most amazing wines that people all over the world can enjoy.